Juliette Low School of the Arts has had the privilege of being chosen to participate in the Lang Lang International Music Foundation Keys of Inspiration program. The music foundation was started by world-famous concert piano player Lang Lang. 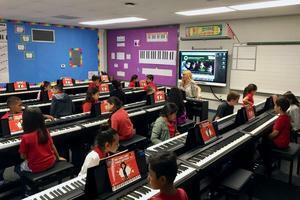 Keys of Inspiration is a national music intervention program, focusing on helping schools with limited resources. The Lang Lang International Music Foundation teamed with Roland, and The Royal Conservatory of Music to build a state of the art piano lab with 31 brand new keyboards at Juliette Low School of the Arts. Besides the keyboards, the foundation provided all the curriculum, teaching supplies and staff development for a successful implementation. 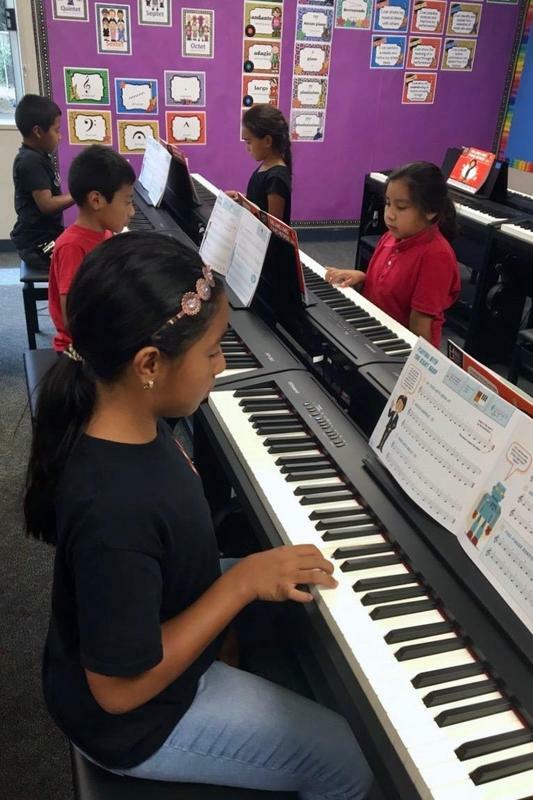 This year the lab provides students in grades 2-3 weekly piano instruction, by the year 2020, all students in grades 2-5 will have weekly piano instruction. The goal is to provide a safe, creative outlet for the expression of emotions as part of high-quality music experience. 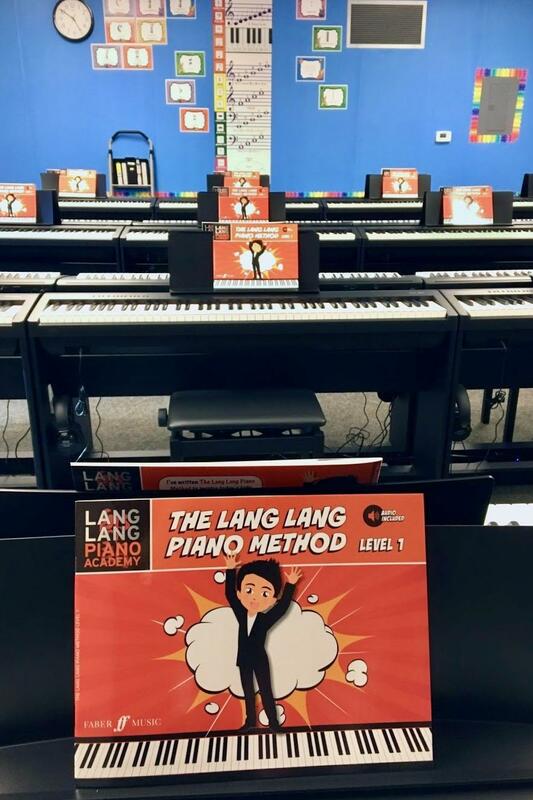 This rigorous music program utilizes Lang Lang’s piano method books and the curriculum from The Royal Conservatory to support student achievement. The Keys of Inspiration program strives “to ignite a passion for music in youth so that they can be leaders in bridging cultural gaps, helping to unite local and global communities” with the belief that, by encouraging music study in the public school setting, they are laying the groundwork for a brighter tomorrow.